After three flybys of Mercury, the MESSENGER spacecraft is now orbiting the innermost planet and collecting daily observations with its seven scientific instruments. This information is giving us the first global view of Mercury’s interior, surface, and environment and the first continuing observations of the planet’s extremely dynamic interaction with the Sun and the interplanetary medium. The lecture will summarize the MESSENGER mission, the observations returned so far, and our resulting new understanding of Mercury, the solar system’s family of inner planets, and rocky planets in other planetary systems. SEAN C. SOLOMON is Director of the Department of Terrestrial Magnetism of the Carnegie Institution of Washington. He receive a BS from and a Ph.D. (in geophysics) from MIT. His research interests embrace marine geophysics and geodynamics, and he has participated on research ranging from oceanographic expeditions on Earth to spacecraft missions to Venus, Mars, and Mercury. In addition to being a member of the MESSENGER team, he is also a team member on the Gravity Recovery and Interior Laboratory (GRAIL) mission and the Plume-Lithosphere Undersea Melt Experiment (PLUME). For the past 10 years, he also has been the Principal Investigator for Carnegie’s research as part of the NASA Astrobiology Institute (NAI). 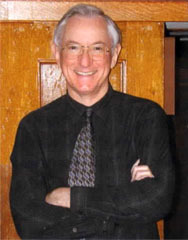 Dr. Solomon is a member of the National Academy of Sciences, was awarded the Arthur L. Day Prize and Lectureship from the National Academies in 1999. He was also awarded the G. K. Gilbert Award from the Geological Society of America that year. He was president of the American Geophysical Union from 1996 to 1998, and he received that organization’s Harry H. Hess Medal in 2005. He is a recipient of Caltech’s 2006 Distinguished Alumni Award. On behalf of the MESSENGER team he received the 2009 Nelson P. Jackson Aerospace Award of the National Space Club. President Robin Taylor called the 2,291st meeting to order at 8:22 pm November 18, 2011 in the Powell Auditorium of the Cosmos Club. Ms. Taylor announced the order of business and introduced five new members of the Society. The minutes of the 2,290th meeting were read and approved. Ms. Taylor then introduced the speaker of the evening, Mr. Sean Solomon of the Carnegie Institution of Washington. Mr. Solomon, who is Director of the Department of Terrestrial Magnetism of the Carnegie Institution of Washington, spoke on "MESSENGER at Mercury: The Innermost Planet Reveals Its Secrets." Mr. Solomon began by discussing the planet Mercury and its mass distribution. He noted that, although only five percent of Earth's mass, Mercury is composed of material of higher average density and most likely has a higher fraction of Fe. By analogy to Earth's structure, it is believed that this Fe is mainly present in a metallic core but the actual structure is still unknown. Mercury also has a magnetic field similar to Earth's and it is believed that this may be due to convective motions within a liquid core layer. Mr. Solomon noted that, prior to MESSENGER, only the Mariner 10 spacecraft had approached Mercury. In 1974-75, Mariner 10 made three flybys about six months apart and imaged about half the planet's surface. This spacecraft discovered the presence of the planet's magnetic field and H, He, and O in its exosphere. Radar-based methods have also provided useful information, showing an unusual ratio of three to two between the planet's year and spin period. Approximately twenty years ago, radar-reflective areas were found near Mercury's poles. Since Mercury's spin axis is nearly perpendicular to its orbital plane and the atmosphere is very thin, the floors of impact craters near the poles may be in permanent shadow and at temperatures less than 100 K. It has therefore been postulated that these reflective areas are ice deposits, he said. Additionally, in 2007, slight but detectable variations in spin rate suggested that the outer part of the planet is decoupled from the rest by a fluid layer at depth, which indicates that the outer core is molten. Mr. Solomon then summarized the guiding scientific questions for the MESSENGER mission. These included identifying the planetary formation processes that might have led to the high metal/silicate ratio, examining the geological history of Mercury, ascertaining the nature and origin of its magnetic field, identifying the radar-reflective material at its poles, and finding other important volatile species and their sources and sinks. Major challenges had to be overcome to move forward with the mission. First, a 10 km/s decrease in speed would be required to make an orbital insertion using Mercury's gravity. This was addressed with a large, well-fueled propulsion system and multiple planetary flybys to substantially change the spacecraft's speed over a total of six years and fifteen revolutions around the Sun. The spacecraft then needed to be protected from the thermal hazards posed by both the Sun and Mercury's hot dayside. This issue was addressed by building a large sunshade of commercial ceramic cloth and making the solar panels two-thirds mirrored to control temperature. MESSENGER successfully entered orbit about Mercury in March 2011, undertaking an elliptical, twelve hour, near-polar orbit with a closest approach of 200 km. The early orbits provided measurements of Mercury's internal magnetic field, giving researchers a global view of internal field geometry. They found that the planet's effective dipole is not near the center as with Earth but that the magnetic equator is located approximately 500 km north of the geographic equator. This magnetic configuration is novel and still challenging for theoreticians to explain. The planet's thin atmosphere is constantly being lost to space, Mr. Solomon explained, but atoms lost at very high altitude can be pushed by photons from the Sun to create a tail similar to a comet's. MESSENGER was able to fly through this tail and observed the presence of Na, Ca, and Mg in interesting and differing spatial distributions. There was also variation between flybys because Mercury was at a different position and velocity with respect to the Sun each time. Mr. Solomon continued by discussing surface imaging coverage and its relation to geological processes. The flybys were not spaced evenly by solar day so different parts of the surface were recorded in different lighting even before entering orbit. About 98% coverage of Mercury's surface at some lighting and at some resolution was attained during the flybys, but global coverage at more uniform lighting and higher resolution has been accomplished from orbit. Mercury's true color appears to be mostly gray, with variations in colors and brightness with some areas more red or blue. Irregular depressions surrounded by an apron of differently colored material can be found in dozens of places around the planet, potential evidence of explosive volcanism. High-resolution imaging of potential volcanic vents shows what appears to be multiple superposed depressions, flows, and flooded and partially flooded basins. Mr. Solomon explained that large cliffs called lobate scarps are the dominant tectonic landform in most areas. The leading explanation for these features is that interior cooling of the mantle and core led to global contraction. Mercury is probably the only planet where the history of cooling has left a readable geologic record such as the complex deformation history seen in Caloris Basin. He noted that color imaging has shown that impacts can bring different materials to the surface and has provided an almost three-dimensional view near craters that implies an interlayered crust of volcanic origin. Recent research on the radar-bright polar deposits involved completing a detailed topographic map to calculate where sunlight intersects the surface and therefore where there might be permanent shadow. Mr. Solomon explained that they are searching for correspondence between these regions and the radar signatures thought to be ice but the composition of the deposits has not yet been confirmed. However, a new landform feature called a "hollow" has been associated with impact craters. Hollows are tens of meters to kilometers across and occur only on the bright, relatively blue areas that have been brought to the surface by impact. Mr. Solomon explained that they may be caused by geologically rapid removal of volatile constituent material, perhaps due to solar or magmatic heating. Finally, Mr. Solomon confirmed that the MESSENGER mission has recently received a twelve-month extension and will therefore undertake a second year of observations. Global data sets had been planned for the original mission, and therefore this extension will allow more time to be spent closer to the planet making highly targeted observations for a broader range of scientific objectives. With that, he closed his talk. Ms. Taylor thanked the speaker, made the usual housekeeping announcements, and invited guests to apply for membership. She announced the next meeting of the Society and reported that members are also invited to attend the Dupont Summit of the Policy Studies Organization beginning on December 2, 2011. She reported on the progress of posting archived videos of past lectures to the Society's website and streaming upcoming lectures live over the Internet. She encouraged members to contact the nominating committee if they are interested in becoming more involved with the Society or have suggestions for nominations. Finally, she announced that proposed bylaws will be presented to the Society for approval at the next regular meeting of the Society on December 2, 2011 and noted that members must be physically present to vote. At 10:03 pm, she adjourned the 2,291st meeting to the social hour.